FTC Disclosure: The good people at Shire Books posted this book for a possible review. I find Shire Publications a treasure trove for history buffs. Whenever I acquire a title, I am always by the amount of information and visual aids included in each release because the authors distill the most amazing topics into a book of less than 100 pages. When they sent me a copy of The Edwardian Farm by Jonathan Brown I was a bit disappointed: why not something more glamorous or exciting like fashion or country houses? What could I possibly want to know about a farm? Well, as it turns out, everything! 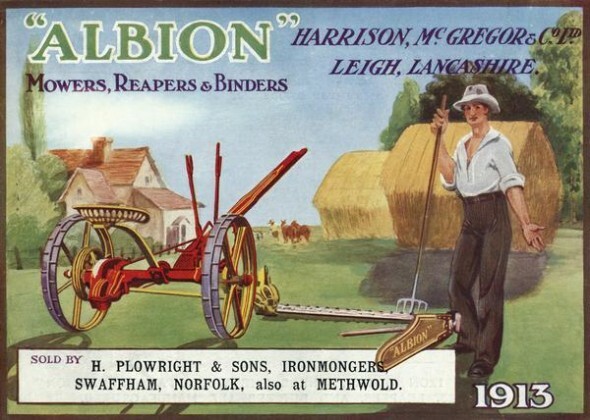 By the Edwardian era, agriculture had suffered from a twenty year depression. Rents were down, young people migrated to cities to work in factories, and English products faced fierce competition from foreign livestock and foodstuffs. However, not only were farmers on the road to recovery, but the rapid advancement in agricultural technology made farming easier and in turn made profits easier to obtain. 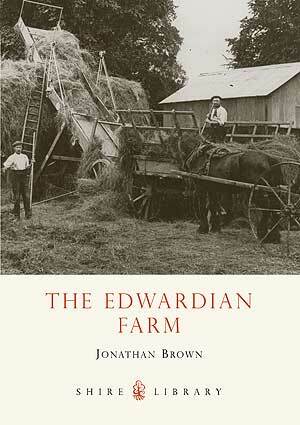 In this book, Brown takes us through the lives of farmers, what was farmed, how specialty farms like diaries were run, and the machinery in which our Edwardian farmers invested. One eyebrow raising tidbit was the popularity of guano for fertilizer: according to contemporary reports, the mining of guano became a multimillion dollar industry as the demand outgrew the initial supply from Peru. What solidified my enjoyment of this book were the extracts from periodicals, ledgers, and articles of the time, as well as amazing photographs of farmers and their machinery. I would have liked to see more emphasis on the actual people of the time, but the sources included towards the end of the book made up for this. So far, this is one of the more thorough and interesting books produced by Shire, and I highly recommend The Edwardian Farm.